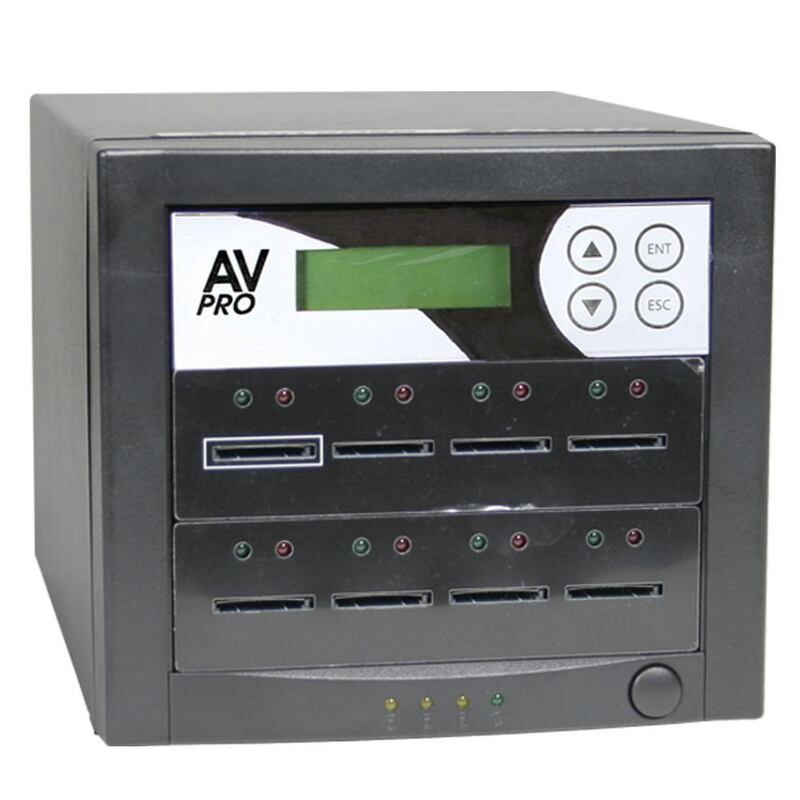 The AV Pro Flash S Series SD Card Duplicators build on the proven functionality of the easy-to-use AV Pro controller for fast and reliable SD card duplication. 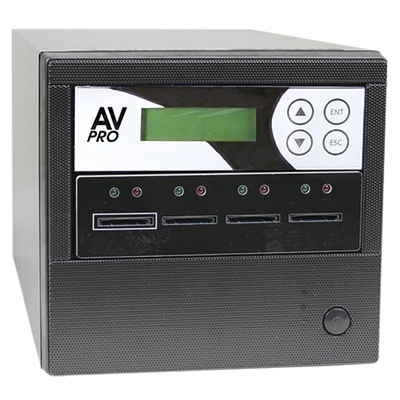 The AV Pro Flash S7 7 Slot is a user-friendly, low volume SD card duplicator. The AV Pro Flash 'S' Series duplicators are totally standalone and will duplicate your SD card master**. Featuring robust solid state construction, the AV Pro Flash "S" Series offers the best duplication compatibility and reliability available. All AV Pro towers have been designed to duplicate in the most cost effective manner possible. 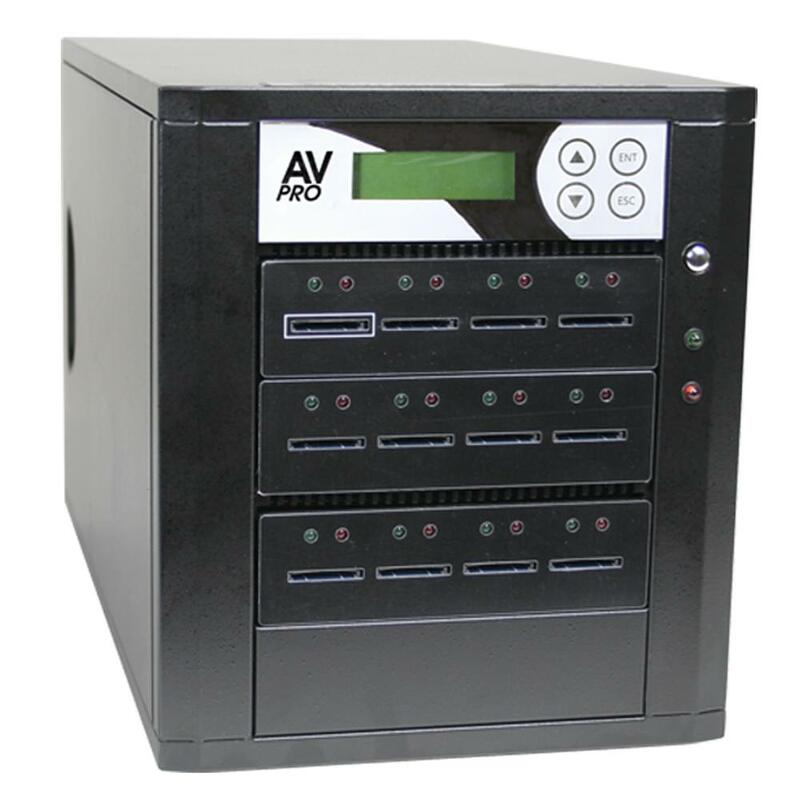 AV Pro systems are the best priced, best performance duplicators available, from the leader in the industry, US Digital Media. *Master must be non-copy protected. 1 Year Warranty on Labor AND Parts!